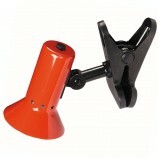 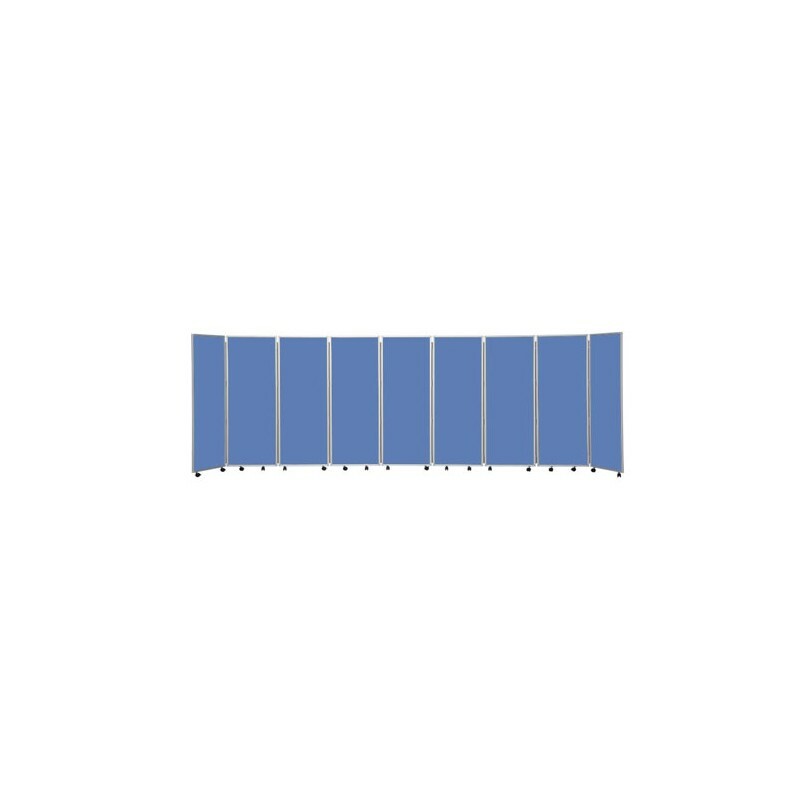 For optimum stability of this screen, it is recommended to arrange the product in an open U or zig-zag formation. Using in a straight line will cause instability. 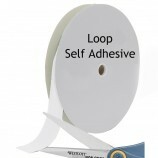 Please see the PDF guide below for further instructions. 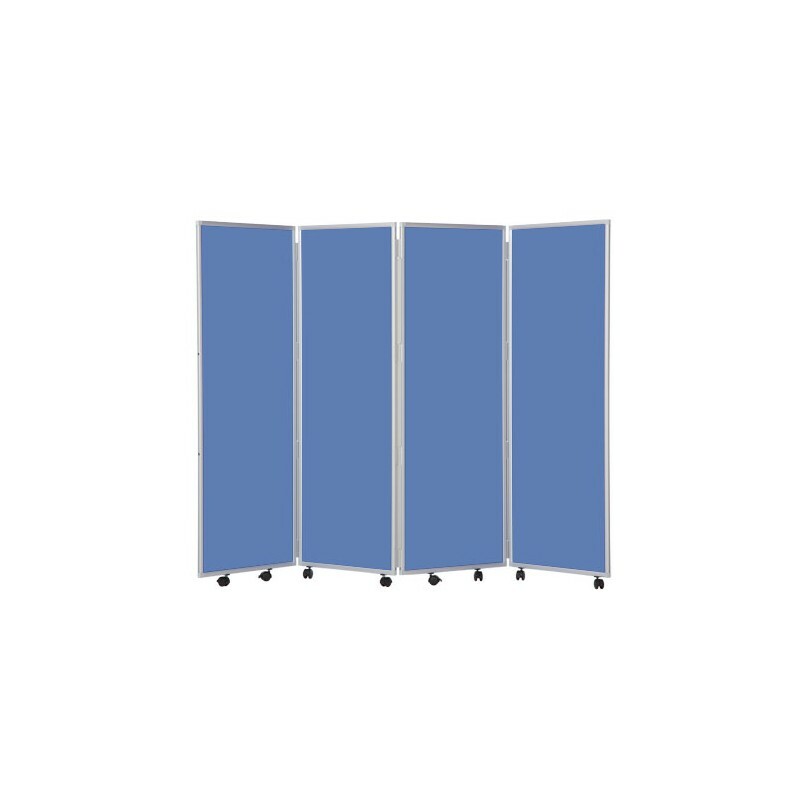 Add flexibility to open plan office spaces with temporary easy clean mobile screens, to instantly section off various areas for different uses. 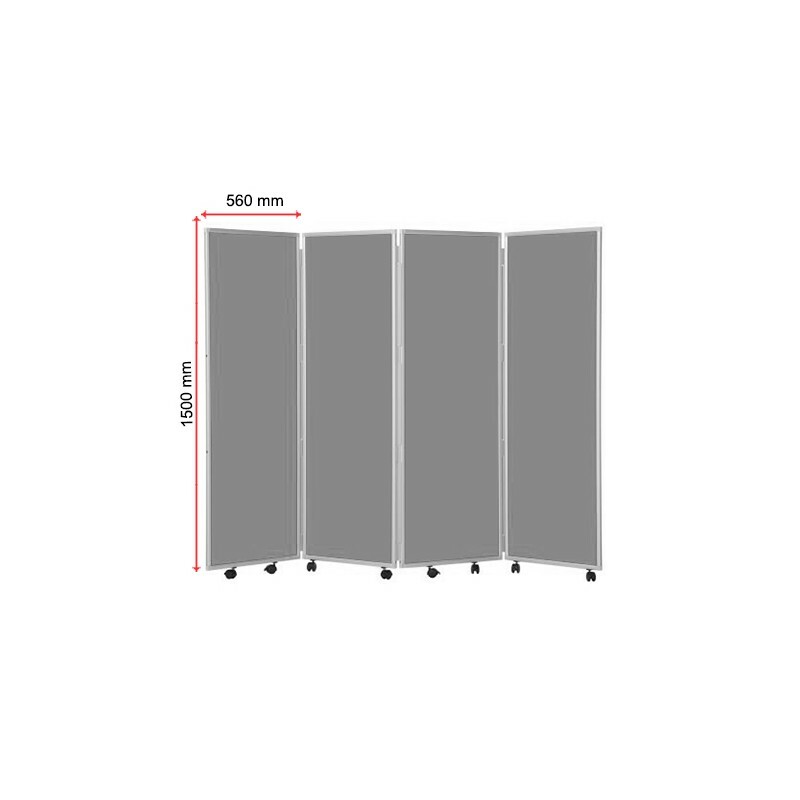 Perfect for short term office partitioning, this convenient office divider screen has a strong aluminium frame and heavy duty castors, making it quick and easy to manoeuvre around the office space as needed. 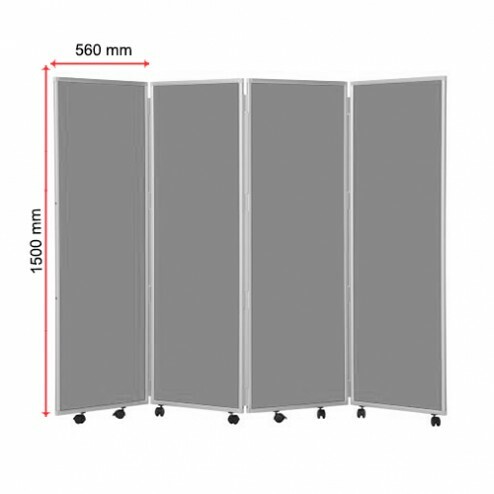 Standing at a generous 150cm tall, the office divider maximises the available space in open locations, by instantly subdividing rooms to create private areas as needed. 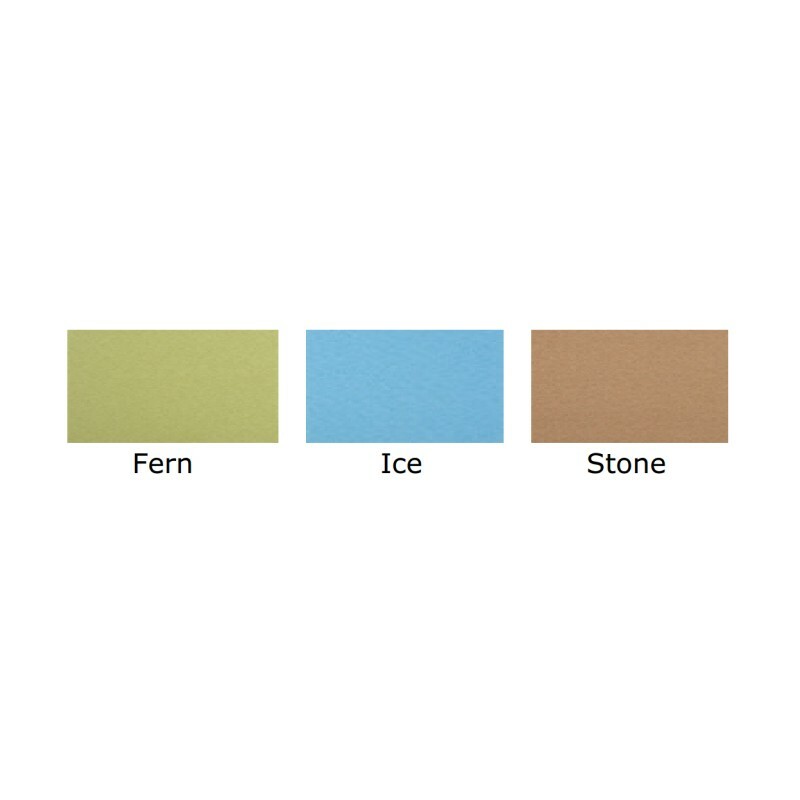 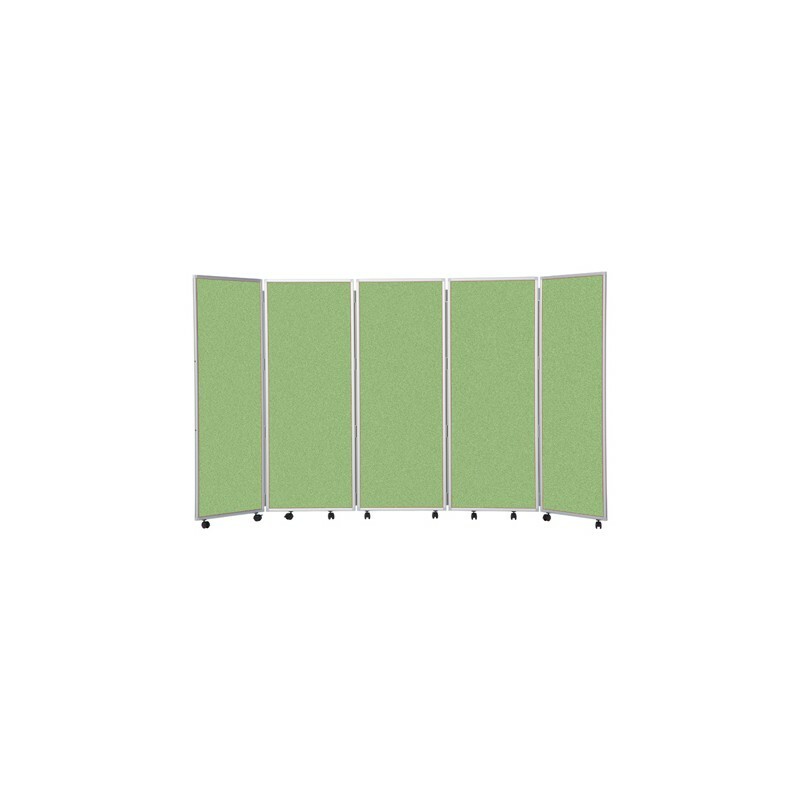 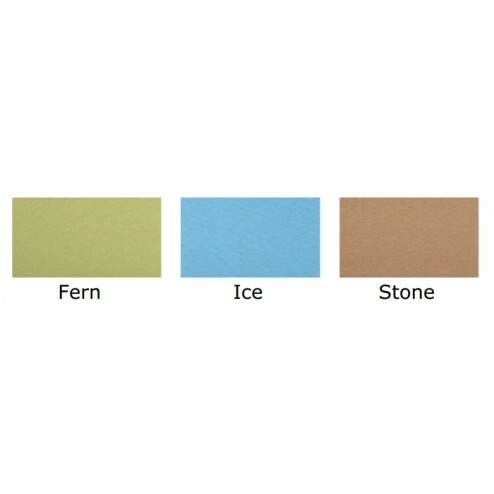 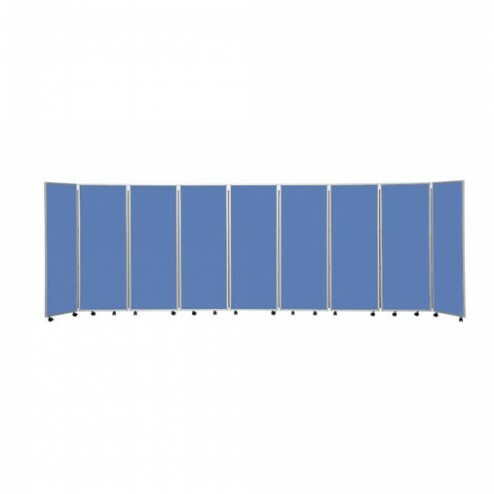 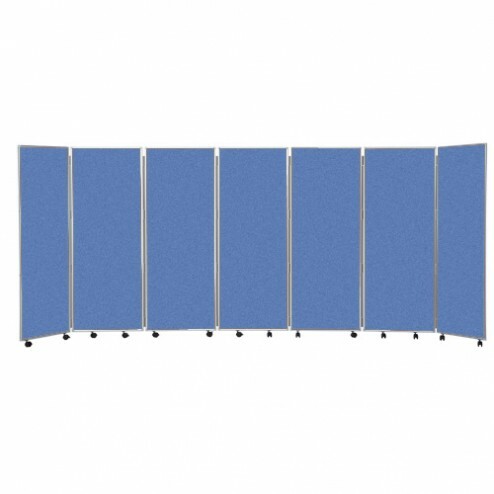 Ideal for large areas which often hold different events at the same time, this partition screen is suitable for segregating multiple meetings within an office, partitioning showrooms for client privacy, separating space in exam halls in schools, or providing discreet waiting areas in public buildings. 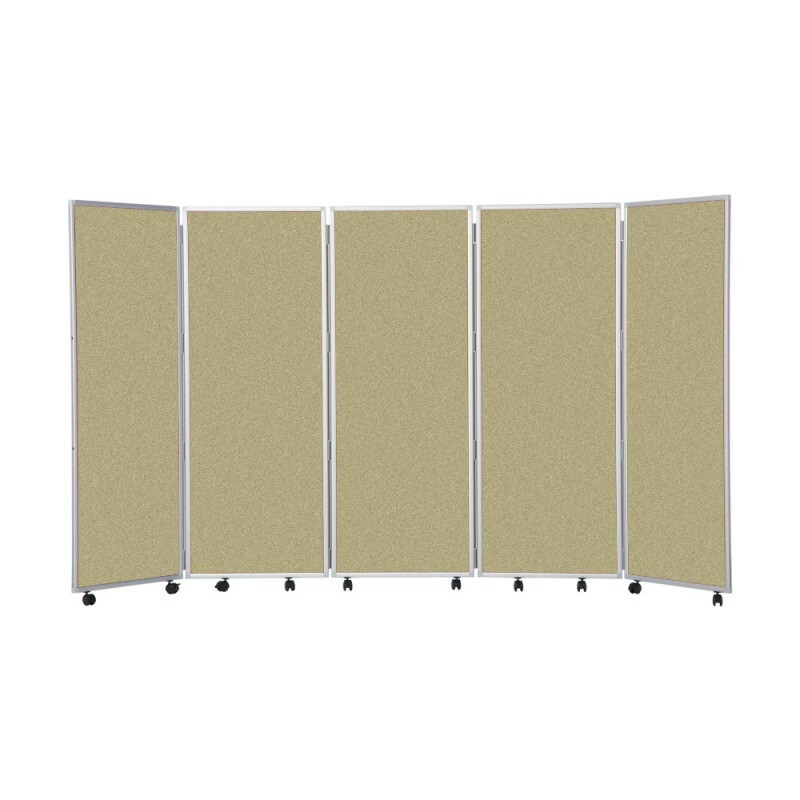 The office divider screen panels are covered in an attractive and highly durable fabric which can be bleached clean and is anti microbial, making it ideal for long lasting daily use in demanding and crowded public areas. 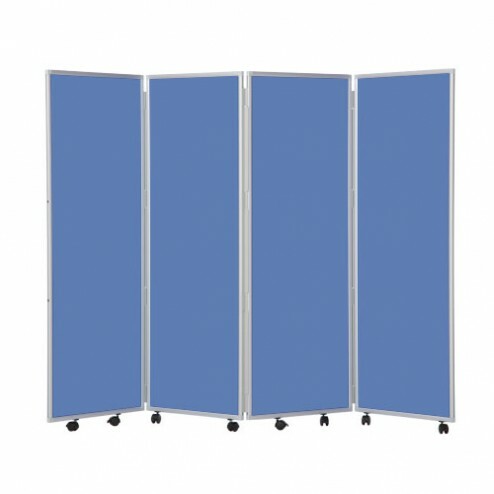 The easy clean mobile screens are also permanently stain resistant and waterproof to keep them looking pristine over time, and the screens are fire retardant to the highest European standards, complying with office health and safety. 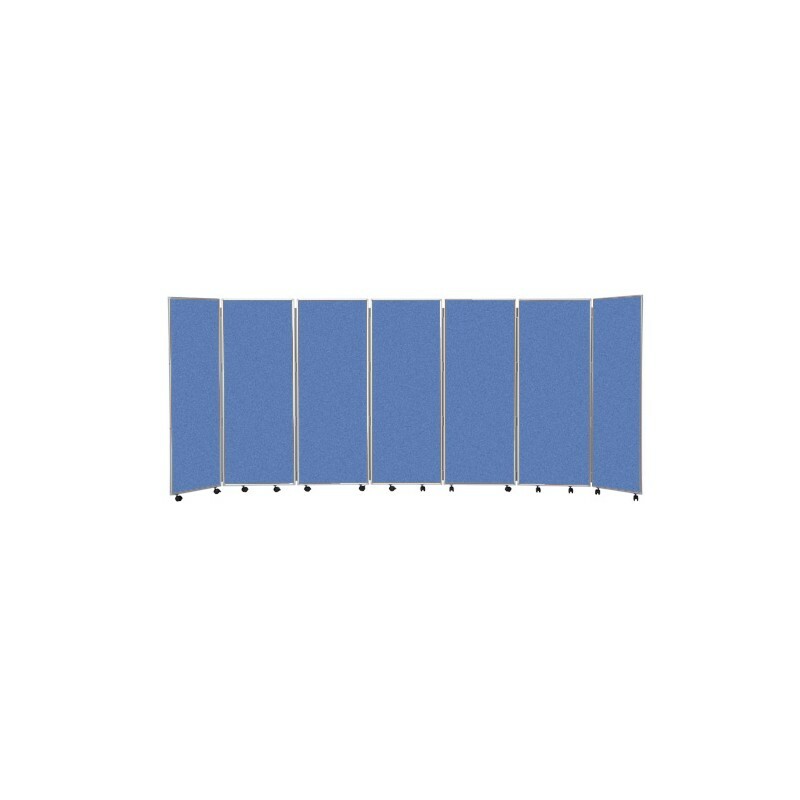 Available in 3 different colours and with 4, 5, 7 or 9 panels to enable office partitioning in the largest areas, the screens are connected by full length double action hinges for flexibility of shaping and formation when in use, while also keeping them stable. 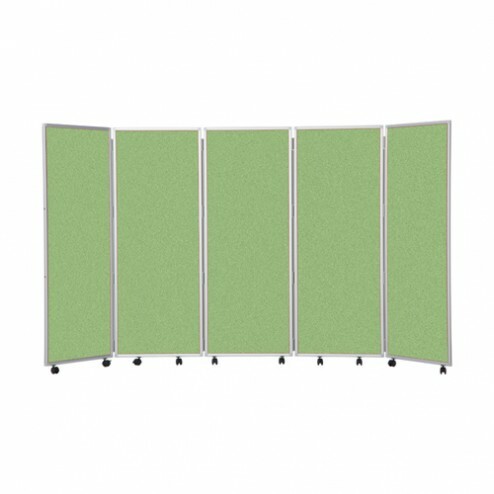 The long hinges also allow the concertina screen to fold down neatly before being wheeled away for convenient, space saving storage when not in use.